An epic recreation of the Allied invasion of the Normandy beaches on June 6 1944, The Longest Day is a remarkable achievement. With an emphasis on historical accuracy and storytelling from all vantage points, the film is a worthy salute to one of history's pivotal days. Allied troops are massed in England, awaiting a break in the weather and orders to launch the largest seaborne invasion in human history. When General Eisenhower is finally advised that there is a limited break in the stormy weather, he green lights D-Day. Lieutenant Colonel Benjamin Vandervoort (John Wayne) leads a parachute battalion dropped behind enemy lines to capture the strategic town of Sainte-Mère-Église. 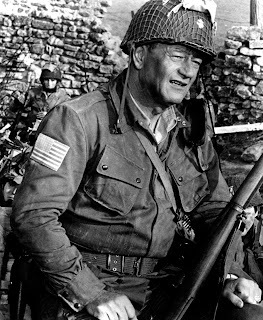 Brigadier General Norman Cota (Robert Mitchum) is part of the assault on the heavily defended Omaha beach. Army Rangers are tasked with scaling the imposing cliffs at Pointe du Hoc to silence German artillery guns, while the French Resistance swings into action disrupting rail and communication lines. 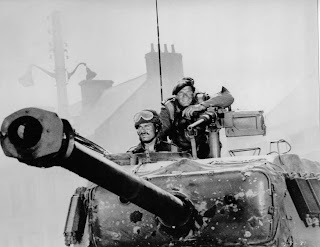 A British glider unit commanded by Major Howard (Richard Todd) is entrusted with seizing and holding the Pegasus Bridge over the river Orne. French Free Forces attack the town of Ouistreham. 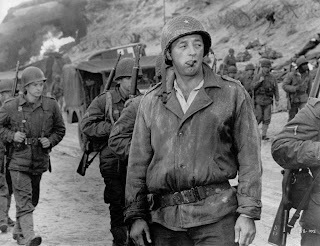 Brigadier General Theodore Roosevelt Jr. (Henry Fonda), son of the former President, goes to extraordinary lengths to join the first wave of his men as they land on Utah beach. The Germans are caught by surprise. With Hitler sleeping and many officers occupied with a war games exercise, the remaining commanders are unsure whether the Normandy action is a distraction from the real assault that was sure to come at Calais. Panzer tank reinforcements, on standby specifically to repel an Allied invasion, are under Hitler's personal command and therefore not mobilized in time. A grand total of two fighter planes are mustered to strafe the beaches. Other than Omaha, where the defenders put up stout resistance, the initial German defence is fragmented and uncoordinated, allowing the Allies to establish crucial beachheads and push inland. Producer Darryl F. Zanuck acquired the rights to the 1959 book of the same name by Cornelius Ryan, and proceeded to assemble a grand, docudrama-style movie to capture the events of the day. From the lowliest foot soldiers to the most senior generals on both sides of the English Channel, The Longest Day enjoys an impressive scope. The English, Americans, Germans, Free French and French Resistance are all given their due, and with the nationals of each country speaking their native language, the invasion unfolds with equal intensity and realism from multiple perspectives. And despite the strategic scope, enough time is invested in humanizing several characters, as a reminder that it was real men who fought on that fateful day. Soldiers itch for the battle to commence then die on the beaches, commanders agonize over battle outcomes, the fog of war obscures the facts, decisions are made based on fragments of information, leaders emerge, and the course of history is forever altered. Throughout, The Longest Day emphasizes the chaos that disrupts the best laid plans. The paratroopers assaulting Sainte-Mère-Église are scattered all over the countryside, resulting in a messy liberation. The Rangers risking everything in the brutal climb under enemy fire at Pointe du Hoc find a nasty surprise at the top. The landing at Omaha beach is a blood bath, the Allied barrage to soften the German defences proving hopelessly ineffective. And the first wave at Utah find themselves on the wrong beach. And the chaos of indecision and uncertainty also grips the Germans, who seem to reach every wrong conclusion, flummoxed by surprise enemy action at an unexpected location in adverse weather, the Allied war of misinformation also helping to cause confusion in the German ranks. The first of the movie's three hours is dedicated to battle preparations, introducing the state of readiness, key characters, and the emotions and apprehension on both sides. Once the shooting starts, The Longest Day delivers two hours of gripping war action, switching between the various intense battles while checking in frequently with the strategists on both sides as they try to monitor and control the events of the day. Ken Annakin, Andrew Marton, and Bernhard Wicki shared directing duties, filming in black and white and capturing several intense battle scenes. The editing maintains coherence despite the frenzy of combat, and Annakin delivers an absolute master stroke in recreating the Ouistreham battle: the sweeping opening aerial shot of the Free French advance, a long, continuous take of the attackers swarming the waterfront under fire and crossing a bridge towards German lines, is a masterpiece of choreography and a profoundly elegant view of the horrors of war. Almost every role is occupied by a star or a well-known name, or names soon to be well known, the likes of Robert Ryan, Sean Connery, Richard Burton, Robert Wagner, George Segal, Rod Steiger, Gert Frobe, Curd Jurgens and Wolfgang Preiss bringing the battle to life. 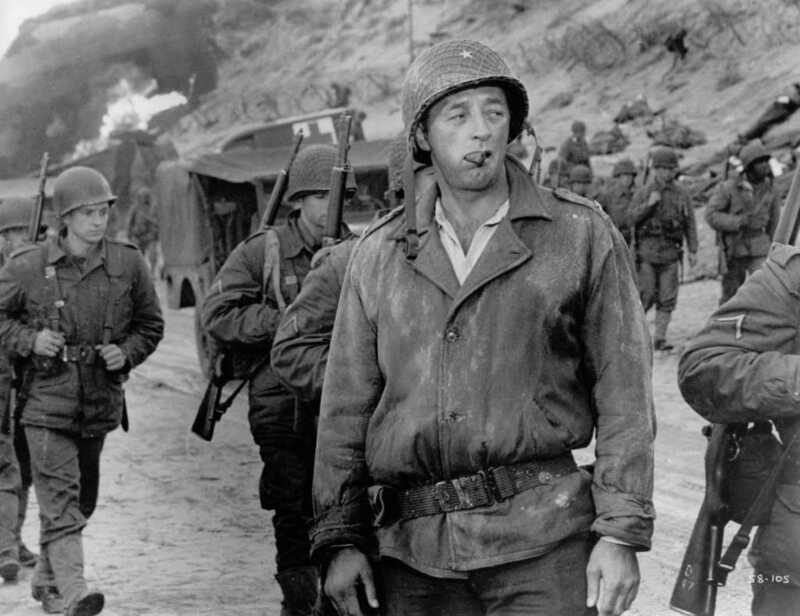 John Wayne gets the most prominent role, but Robert Mitchum is the most memorable, his leadership and calmness under pressure at Omaha beach finally pulling the soldiers together to break through the German defences. June 6, 1944 deserved the grandest of film treatments, and The Longest Day is a graciously monumental chronicle of a historical milestone.